Free “Gas” for life? WHAATTT?! Elon Musk is a name you should be very familiar with as in my opinion he is the most influential entrepreneur/inventor today. He is best known for creating SpaceX, a private rocket and spaceship successor for NASA, cofounding Tesla Motors which takes aim to revolutionize the auto industry and Paypal the worlds largest internet payment system. Talk about accomplishments! On September 24th, Elon Musk had unveiled the Tesla Superchargers, a revolutionary charging method for its line of high-end luxury electric sedans- the Model S ($77,400 – $105,400). 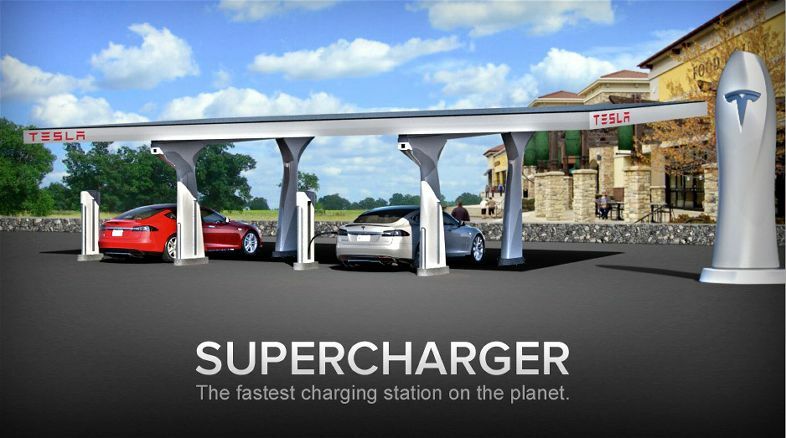 The Tesla Superchargers will use solar energy to charge the Model S with 100 kilowatts of energy that will be good for about 3 hours of driving at 60 MPH in an impressive 30 minutes. The amazing feature of these Superchargers is that all Model S owners will be able to charge their vehicles for free, FOR LIFE. Musk claims that the energy captured by the solar panels will be more than what the vehicles will require. This allows Tesla to actually make money by pumping the excess energy back into the grid. 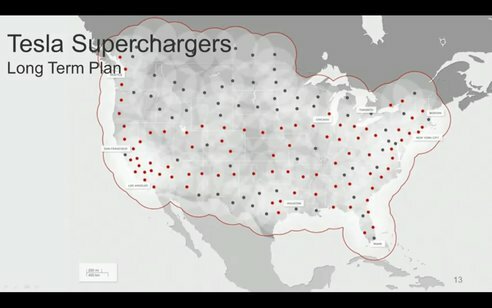 Musk had also revealed that this network of superchargers is a reality. At the time of the unveiling there are six locations in California ready for use. Within two years he plans to cover the United States with these stations in all “high traffic corridors across the US.” Long term (2 – 4 years) Musk plans to cover the entire US and southern Canada as well expanding into Europe and Asia. First thing that came into my mind after seeing the map above is that this is a very aggressive forecasting model. They are targeting to cover the continental US in a very short period of time. On top of that they have future plans to expand into Europe and Asia. With absolutely no data on how many Tesla drivers will actually attempt long distance drives the Tesla team is taking a huge risk in investing so much capital in building this network of superchargers. The second issue they face is either under-use or over-use of the stations. Lets face it; today these are very expensive cars for most Americans. With the base model starting at $77,400 I don’t see it having much mass appeal and that is needed to make such a huge network be feasible. On the other hand, as the years go by the technology will surely become less expensive and there could be a Tesla in everyone’s drive way. With an explosion in these vehicles they may not keep up with demand. 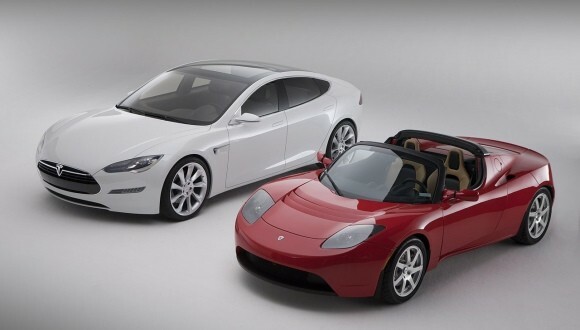 As Tesla goes through its product life cycle they can better define their forecasts. From the looks of it they are very optimistic. What are your opinions?